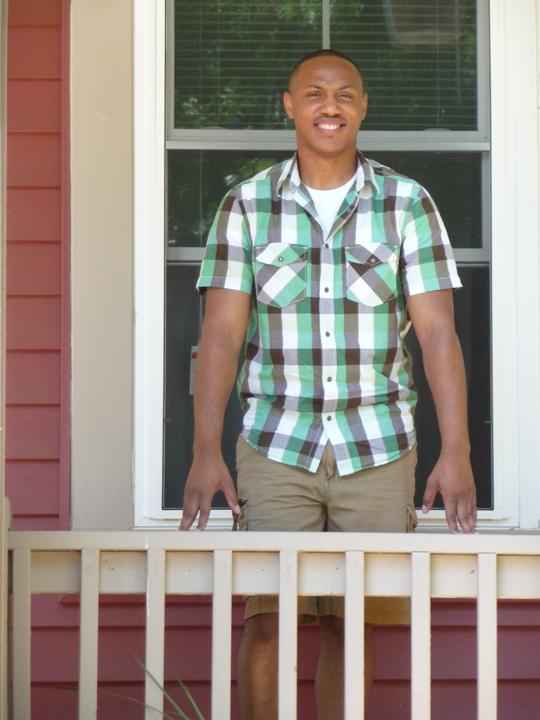 Jamar was born and raised in the Jordan neighborhood on Minneapolis’s north side. He was ready to move out on his own. But what could he afford to buy and own on a youth worker’s salary and with a young son to care for? One summer he watched workers build a new home right in the neighborhood where his family, friends, and church members lived, on a corner he drove past every day on his way to work. The house took shape, looking beautiful. When he noticed the sign in front of the home, he looked up PRG and discovered he could meet with a home ownership advisor to figure out what was possible. He discovered some credit issues he needed to work on. But he also found out how low the sale price of that beautiful new home was, and learned that the home was built to minimize ongoing costs like utilities and maintenance. Excited about the possibility of an affordable new home that let him keep his roots in Jordan, he worked hard at bringing up his credit score, and was able to qualify for a loan in time to purchase the home. 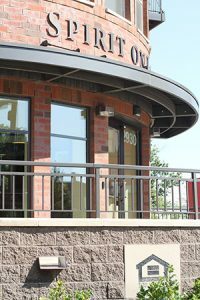 PRG and residents of the East Phillips and Midtown Phillips neighborhoods worked hand-in-hand to envision and build the Franklin Station Townhomes. The townhomes are part of a comprehensive redevelopment plan. Vacant lots and blighted housing have been replaced with high-quality homes owned by families with a range of incomes. This PRG-developed residence won honorable mention in the Little Lots National Design Competition, which was sponsored by the Powderhorn Park Neighborhood Association. Now these “little lot” houses are also being built in other Minneapolis communities. 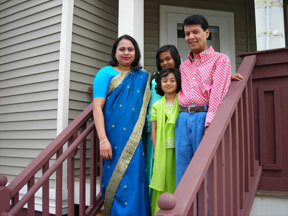 At this home, 3503 First, a moderate-income family from the neighborhood was able to make the purchase. What was once a small vacant lot is now a source of local pride. 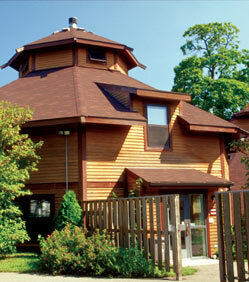 Maynidoowahdak Odena provides a stable home for Native American people living with HIV/AIDS. Prior to construction, PRG facilitated a weeklong collaborative visioning process with the Indian community and architect Douglas Cardinal. At the end of the visioning process the land was blessed and a pipe ceremony was held. The final site includes natural elements and a ceremonial area to enhance the connection with the spirit. PRG developed this townhome complex to help stabilize the Phillips Neighborhood. For many years, PRG leased the building to the residents of this self-governed cooperative. This cooperative arrangement reduced housing costs for the sixteen families living here and gave them voice in how the property is managed. Some members of Arbor Commons went on to purchase homes in Phillips, further stabilizing the neighborhood. 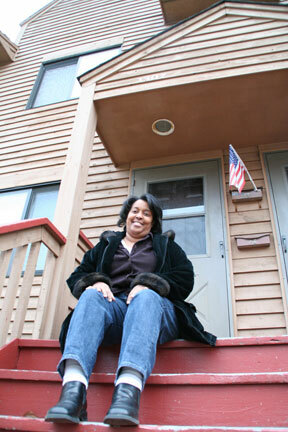 Regina Walker, pictured here, was a long-time Arbor Commons resident. She honed her leadership skills by being closely involved in Arbor Commons leadership and as a member of PRG’s board of directors. These experiences have led to big advances in her own career working in organizations that provide affordable rental housing. 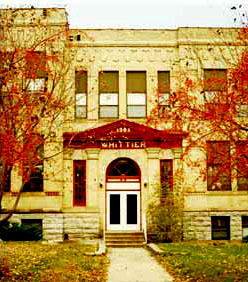 Whittier Cooperative, completed in 1979, was PRG’s first project. The group of neighbors who started PRG in 1976 wanted to make sure that sturdy, beautiful, resident-controlled housing continued to be part of their community. They thought outside the box, assembling funding and expertise to convert the old Whittier School building into an affordable leasehold cooperative. This was the first school building conversion in Minneapolis. Today, it’s a neighborhood landmark, and the many residents—including some new, and some who have been there since the beginning—are proud to call it home. 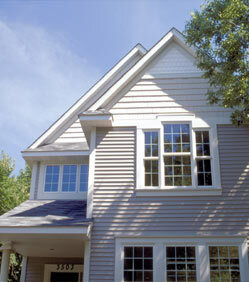 When this project started, Whittier had been through a long period of decline. Today the area is bustling with new life and is home to Eat Street’s ethnic restaurants.